On morning walks with my dog, I watch this woman quietly clean the area around the buildings in her charge. She does a wonderful job without the noise and pollution of a leaf blower. She also does her work faster and more fully than the people using the noisy machines. 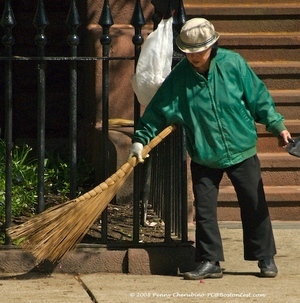 She actually gathers the debris with her artful broom, picks it up with her dust pan and takes it away to the trash. She doesn't disturb the neighborhood with the sound of an unneeded power tool, she doesn't move the trash elsewhere for a the next cleaner to move again. Thank you, dear lady, for the quiet, competent way you approach your work. Ed starts each day listening to news while I avoid it. At least, until I'm awake and alert and ready to face things that might ruin my new day. Coffee must be ready. And, I still take my first news of the day in the form of a Boston Globe. If there is breaking news that has any relevance to my life, I know Ed will tell me. This morning he told me that we had lost James Hook Lobster to a fire overnight. We talked about the day we went in for rock crabs and asked what those larger crabs were. "Dungeness," said the person assisting us, "You should try one." We tried two and switched our crab allegiance that day. We remembered picking up our lobster orders early on Christmas eves with lines of people ahead of us. Thank you James Hook for the years of Dungeness and for the best Christmas Eve lobsters and for preserving an old Boston landmark until that decision was taken out of your hands. "Don't postpone what you really want to do. I have been meaning to get over to J. Hook to do a full photo shoot to write a feature on them for BostonZest.com. It didn't reach the top of my list. I was just thinking about the day they introduced me to Dungeness Crab. It is a good business, and I hope they do return. They were always ready to answer questions with sage advice and years of experience. And, they always delivered first quality goods. Of course, it will no longer be one of the places of "character" in Boston but maybe they will find a way to make us happy with the new version. If anyone has photos of the original building, I would love to feature them with full photo credit and a link to your site. You can reach me through my site." The photo above was borrowed from James Hook's site before it was replaced by a message about the fire. Chowhound member, Bostonbob3, pointed me to this one as his favorite. I hope they won't mind. Here is another link to photos that was a response to my photo request on. It is from Greg MacKay's Flicker site. Nice work Greg. For the time when you can use it and for the news link until then. 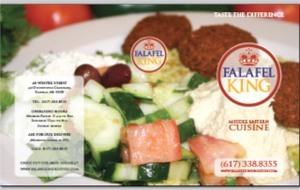 The Falafel King in Downtown Crossing has added a website and downloadable menu. Now those of us who want to share this source of great middle eastern food, will be able to direct folks there with a link or a share a document. In the next few weeks I'll be covering some of the area farmers' markets to help make readers more aware of the wonderful local food resources spread around the Greater Boston area from Spring through Fall. Today the City Hall Plaza Farmer's Market had its opening day. 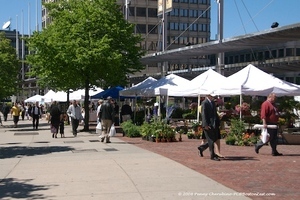 This Market is along Cambridge Street just outside the Government Center t-stop. It is perfect for those who work in the area and is the market for residents of Beacon Hill, Downtown, the West End and the North End. Here is a sample of what's waiting for you at this market. 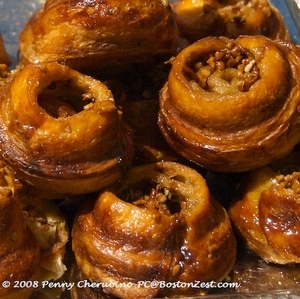 Here are the luscious cinnamon rolls from the Danish Pastry House. Before the rains arrived today, I walked over to Whole Foods on Westland Avenue near Symphony Hall. As I rounded the corner into the cheese aisle, I spotted a new "Antipasti Bar". 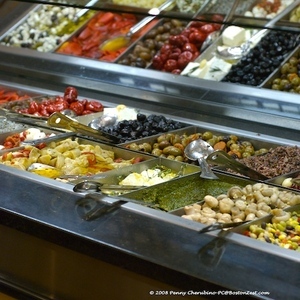 It contained many of the items they feature (prepackaged) in the cheese department- olives, peppers, artichokes, tapenades, relishes and chunks of cheese, marinated cheese, and pesto. But, here you can put together what you want at $9.99 per pound. Pricey? Yes, but perhaps less expensive than throwing out the half-eaten containers of these items when you clean out the fridge. I see myself stopping here to pick up my own choices when friends are stopping by. But, I think I'll use it more often to collect ingredients when I plan to cook. Think of the inspiration you can find here to create frittatas, sandwiches, pasta dishes, and salads. 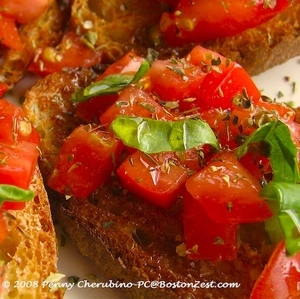 I love this idea and will let you know what I make with the antipasti. Please, report in if you find this type of resource elsewhere. Ah, the discovery of a restaurant offering a cuisine you haven't tried. It is a time of joy for a devoted food lover. We are happily beginning our exploration of the "Latin Kitchen" at Orinoco in Brookline Village. On our first visit for a Sunday evening supper, we saw that this recently opened outpost of the South End original was instantly popular. We arrived early and snagged one seat at the bar. As we nibbled on appetizers and waited for a second seat to open up, we watched lines form on the sidewalk. This is another of those "special" Boston area restaurants that you can slip into and enjoy on a holiday weekend. We went for brunch yesterday and shared a quiet meal with a few other patrons. 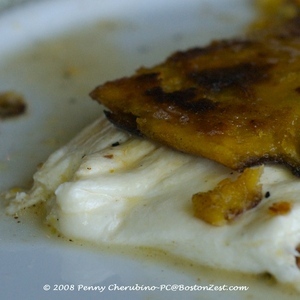 From the Brunch menu, we began with the "Cachapa- Traditional Venezuelan corn pancake with melted guayanés cheese." 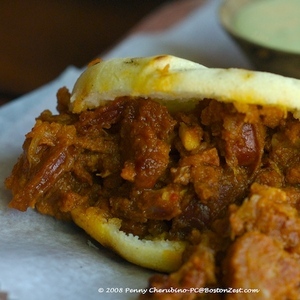 Followed by two "Arepas" These are described on the menu as; "Traditional Venezuelan grilled corn pocket sandwiches made just like in any taguarita back home-- a healthier and more delicious substitute for bread!" 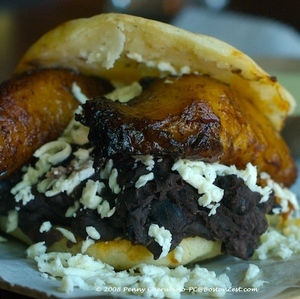 Arepas- Carupano: chroizo and onions grillé. Early days of getting to know a restaurant are like the early days of a friendship. You explore the new acquaintance and try to figure out where they fit in your life. So far, in the case of Orinoco, we are loving the food, the bar, the staff, and look forward to introducing other friends to them. Our bartender, mentioned that the table for ten in the center of the room may eventually be used for a chef's tasting menu on Saturday evenings. That could be fun to enjoy with a group. One note about our holiday weekend strategy, be sure to call before you go. Many small restaurants may use the slow weekend as an opportunity to take some time off themselves. This is especially true for July 4th. Some places use that holiday week to close and do maintenance or renovations and to give their staff a break. I was itching to photograph this room since our first visit and was able to slip in a few shots yesterday without bothering the other patrons. Here's a link to my Orinoco gallery. Sometimes we stay in town on a holiday weekend so that, while everyone else is away, we can walk into Boston's very special restaurants without a reservation and without a wait. Affection is something that Ed and I both have in abundance for Fenway's tiny slice of Tuscany. 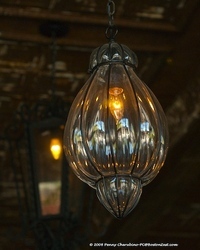 The owners and staff make us feel at home, relaxed and well cared for every time we visit. 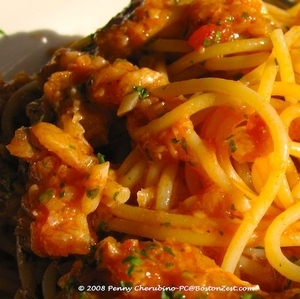 The Spring menu has been in place for a few weeks–long enough for me to hear that the Spaghetti al sugo di merluzzo (codfish ragout in white wine and herbs) was available to satisfy my cravings. Tonight that was just enough food. We ended with an espresso, thanked our charming waiter for a lovely evening, surrendered our table and walked home. Along the way, we chatted with a couple visiting from Atlanta, told them about Toscana and sent them off in the right direction. We hope they enjoyed it. 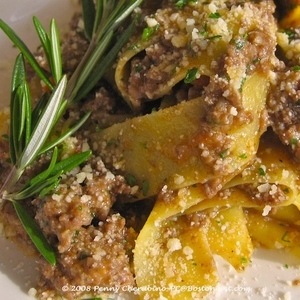 Trattoria Toscana is a tiny place with a devoted following of food lovers. There are a few things you should know before heading there. They do not take reservations and they don't have a waiting area. That makes this a wonderful time of the year to visit. In the cold or the heat, you could be waiting outside for a time. To be fair to everyone with their first-come, first-serve seating; they do not seat parties until everyone has arrived. 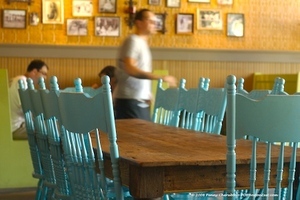 If you have chronically late dining companions, you might see tables slip away while you wait. And, we would like to say a public thank you for all the wonderful meals we've enjoyed thanks to the community that is the Boston board at Chowhound.com. 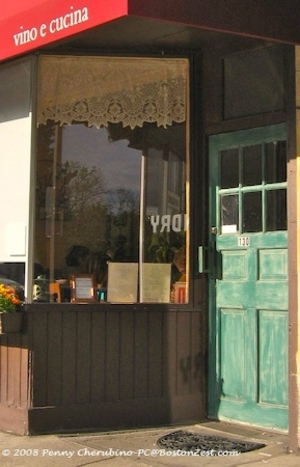 Here's the Yelp on Trattoria Toscana. Simple food, well made is not as easy to prepare as you might think. If you would like to learn a bit about what it takes to present simple but perfect Italian dishes I recommend this book.